A great pair of over-the-ear headphones. It does not produce an accurate sound signature, but gives you a great concert experience. Heavy on the bass, the highs are exaggerated and the mids are lost somewhere in between. Just know that you are paying extra for the "Beats" logo. If you do not care about accurate sound, and don't mind shelling out a few more dollars for the sake of a logo. Then these headphones are right up your ally. The Beats by Dre are some of the best known headphones on the market right now, thanks to intensive marketing, celebrity endorsements, and word of mouth promotion. But as anyone following the electronics industry can tell you, the most hyped product isn’t necessary the best, and paying the greatest amount of money doesn’t ensure you will receive the absolute best headphones experience. It’s always good to try out any headphones for yourself before shelling out your cash, and ideally that means forgetting for a few minutes about the brand on the box. Today we’ll try to do just that and cut through the hype surrounding the 2014 Beats by Dre Studio wireless headphones. The Beats by Dre headphones were first released in late 2008. Created by Monster in collaboration with Dr. Dre, they were primarily promoted through endorsements by hip hop celebrities and product placement, and soon became known as a fashion statement, rather than a premium audio setup. I’ve previously owned a pair of first generation Beats by Dre headphones, and, let me tell you, people comment, ask to listen, and even give me awkward fist pumps because I’m wearing Beats. It seems like there is a silent camaraderie when purchasing Beats headphones, with other owners and people who just envy you. Bravado aside, the Beats by Dre headphones have always been an attractive buy. In the beginning, they came in just two color schemes, black and red and white and red, but with newer versions more colors appeared in the markets, from lime green to Boston Red Sox blue and red. Beats by Dre also offers exclusive colors that only certain celebrities have, which make these headphones even more desirable. Overall, the marketing team at Monster have managed to emulate the success of Jordan shoes, with limited quantity, limited time colors, and visible exposure from celebrities. The Beats by Dre wireless headphones come in a rather large box; some may argue it’s overkill, but when spending nearly $400 dollars on a product wouldn’t you want something that was overkill? The box sits tall and bold with its Dr. Dre red and black color scheme. Once you cut through the plastic wrapping, pull off the red lid, up front and center you will see the Beats logo on top of the headphone carrying shell. This headphone carrying shell is made of hard rubber, and has a black and red zipper. Inside you will find the headphones. Each peripheral is individually wrapped in a black paper letting you know what each cord is. All the cables are wrapped in thick red rubber. Although I did not pull and tug on the cabling, they appear to be extremely durable. One thing to note is that these headphones no longer come with a ¼-inch adapter, which is strange. The wireless Beats by Dre are a Bluetooth headset, and like with many Bluetooth headsets, battery life is one of the most important feature. There is a battery built into the headphones this time around, that allows for charging via microUSB. Auto-off, a feature that many users requested, is present on this model – when the 3.5mm cord is not inserted into the set, the headphones turn off automatically after ten minutes of idle time. Thanks to the rechargeable 20-hour lithium-ion battery inside the headphones, you no longer need to fuss around with AAA batteries. These headphones allow for a wired listening experience as well, which makes it easy to listen to music on a device that may not have Bluetooth. The set comes with two cables, one that is a regular 3.5 mm cable with a right-angled tip, and also a 3.5 mm cable with audio controls and a mic. These headphones are smaller, sleeker, and less squeaky than the previous gen and there are many esthetic changes compared to the first gen. The 2014 Beats by Dre bring back the folding design, and instead of having visible screws, this time around the screws are covered, which gives them a sleeker appearance. The power button and USB connector are located on the bottom of the right headphone. On the left side, we have the 3.5 mm connection, while on the cup we have the Bluetooth the mute and volume buttons. The cups are padded with soft leather that gently covers your ears. This alone shields out sounds from the outside. The stitching is visible and adds a subtle design element. Previous iterations of the Beats by Dre had some major sound leakage issue, and you could easily make out the lyrics within five feet. From the sound of things, this is still an issue on the new generation. The new Studio feature is a dual-mode noise-cancelling circuit. One setting is set to be customized for music listening, and the other setting is created for shutting off the sounds around you. This is called the Beats Acoustic Engine, and it uses DSP (digital signal processing) to ensure the headphones are producing an accurate sound signature. The sound cancellation method that Beats uses works as expected. If you have tried other headphones that use a similar method to keep the outside sound out, you know that it does not make the world around you silent, but it does a good job at cutting out most of the sound. With music playing and noise cancellation going on at the same time, you’ll be hard-pressed to find a better solution. If you want to hear your surroundings, you can press on the Beats button on the right ear cup, that will fade the music and deactivate the cancellation in a very sleek way. You can pull each headphone down to expand the size, and each time you do so, you hear a nice click to let you know you that is expanding. On the USB power outlet, the prongs flip out and snap into place, the plastic is shiny and the color on the paint really pops. The little things like these, makes the Beats by Dre Studio headphones that much more enjoyable to look at and use. Overall, things are much more tighter this time around compared to the first generation. 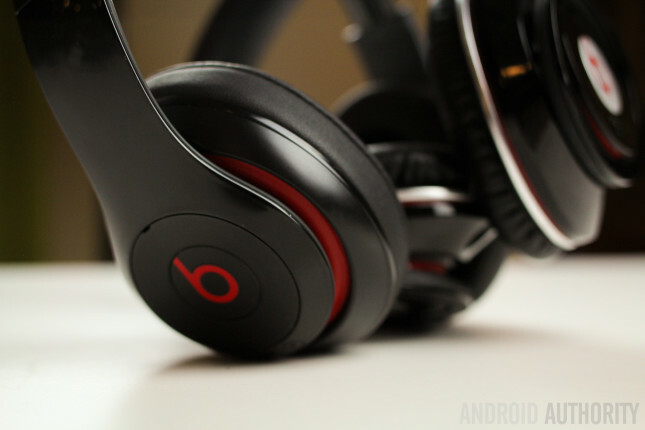 The lightweight construction of the new Beats by Dre Studio allows for an easy wear. The ear cups are soft and feel nice as well; these ear cushions, or, as I call them, “ear pillows”, are the best I’ve ever worn. The headband has a large cushion wrapped around it, and all three of these things combined create an enjoyable experience. But there is one thing in the comfort department that stops the Beats from achieving perfection. The ear cups can get hot easily, and may cause discomfort if you are doing any activity that generates any heat. I’m not speaking about a full on workout, but a brisk walk around the mall could cause them to heat up. The ear cups are not ventilated at all, being designed for comfort first and foremost, and this shows. On the flip side, the Beats by Dre Studio headphones are made to be worn for long periods of times. Overall, I can comfortably wear them for several hours, even out and about. There’s no getting around this, the Beats Wireless are for bassheads. When putting them on, you instantly feel the music, you feel the thump of the bass, and also hear every note. 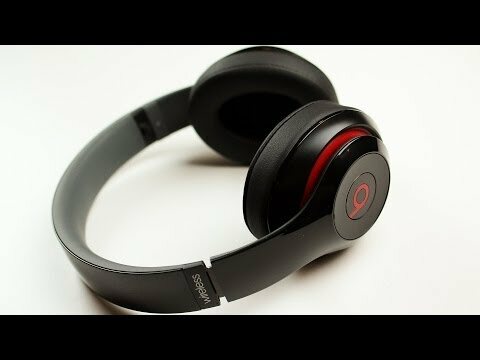 Although the Beats do not produce an accurate sound signature, they still provide an enjoyable experience. Truth is most music listeners don’t even understand the difference between mid’s and high’s when referencing their favorite song, and honestly, they don’t care. dynamic range, which is the ratio between the loudest signal you can hear and the quietest, comes in at 115 dB, which is a respectable amount. All the other quality control tests were passed with no issues. The tests confirm what I actual hear when listening to my favorite songs. My subjective experience is the new Beats are extremely heavy on the bass, while the treble has issues reaching the higher levels at times. With the previous pair of Studios, the bass was exaggerated and also rattled sometimes, but I can happily confirm that this is not the case this time around. The bass is smooth, and only pumps when appropriate. But, just like with many other headphones, how you truly feel about a pair of headphones always depends on what you are listening to. When listening to Ellie Goulding – Lights, around the 50 second mark, when the bass kicks in, you can truly appreciate how the lows kicks in, without the jarring and rattling sensation that you’d get from the first gen. Also, during the chorus, she sings from both channels in a different key, you can easily differentiate between both keys in each ear. I attempted to listen to a more vocally intensive Collide form Leona Lewis, that’s when you can have a bit of discomfort. Leona Lewis in the song reaches a pretty high octave during the chorus, and, if you are not careful, it can really hurt your eardrums. There is a piercing sound that is caused by the treble, that you won’t experience with other headphones and earbuds within this price range. Also, the vocal sound is not as clear as you would expect from headphones within this price as well. And finally, we’ll play a rap song. Since these are beats by Dre, I will test using a Dr. Dre produced song, In Da Club by 50 cent. The first note of the song is a deep bass hit, and that sets the tone for the whole song. A few measures later the horns come in and shortly after a guitar comes in, and all combine to make a smooth instrumental. It sounds balanced, and fills both channels in perfectly. When 50 starts rapping, it’s not jarring as you’d hear with a vocalist, but it blends in smoothly. The vocals are loud and clear, while allowing you to hear all the parts of the beat in the background. It feels that the Beats by Dre Studio 2014 are optimized to make you feel like you are at a live show, not a mixed down recording session. That would explain why many people enjoy the sound that these headphones produce. The wireless component works as advertised, with little impact on the battery. The headset provides you controls that allow you to adjust the volume strictly for the set. If you long-press these same buttons, they allow you to skip and go back a track. Even before this review started, you probably had an opinion on these headphones, whether it’s shaped by media or your own personal experience. The wireless Beats by Dre Studio 2014 are what I thought they would be. They’re an upgrade to a pair of headphones known for their bass and live performance type of sound. These headphones do not skimp when it comes to the accessories, the appearance, and the overall feel. You do not feel cheated after spending extra money for the brand. And that’s the thing, you are spending some money on the name, just like other products out there. 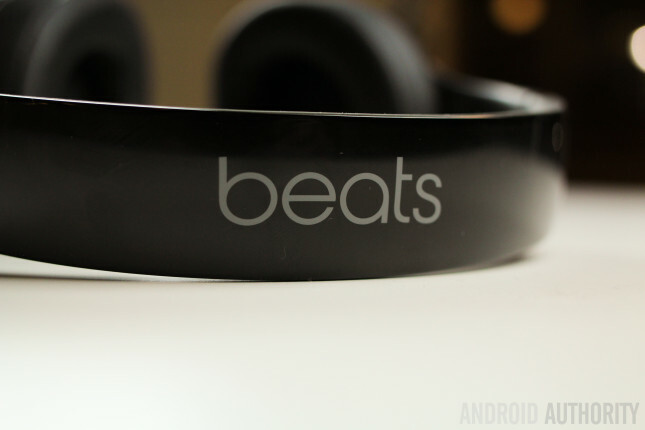 You end up paying more because it has a Beats logo on it, point blank, period. Within this price range, you are able to find other headphones that can achieve the same results and yet provide a more balanced sound. But this may not matter – some people just want a concert type of sound, which is fine. There are times that I’d prefer to hear music in this fashion, like when working out or just looking to zone out in some music. The Bluetooth wireless connectivity makes it incredibly convenient to use out and about, and the headphones can easily be charged via USB micro. Everything you loved or hated about the Beats, it became better or worse. Ultimately, it’s your decision if these headphones are good for you. But, your mind was already made up. Right? 2014 model on the left.